Son Little - O Me O My. Background - Son Little has just announced an exciting UK and Euro 'New Magic Tour'. After the release of the brilliant 'New Magic' album via Anti- he will be hitting the road this December to perform across the UK and Europe. The tour begins in Manchester and includes a date at London's Omeara from which he will then be travelling on to dates in Berlin, Paris, Brussels, Amsterdam, and more. 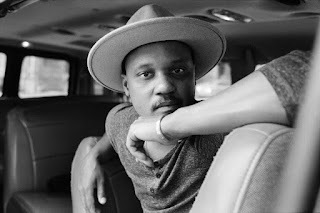 The New York Times described Son Little’s singing as "a voice so careworn it’s almost otherworldly” while Culturefly called the Grammy Winning singer-songwriter and producer, “an Otis Redding for the 21st Century.” Son Little’s anticipated full length album New Magic has finally arrived in stores. Year of October - Lost. Background - Nashville, Tennessee - Gritty Music City blues rock band, Year of October, is excited to release new single "Lost", from their impending October LP, “Trouble Comes”. “Lost” is a heavy blues rock groove with chunky guitar tones and a classic rock beat. Self-described as "fuzz soul", husband-wife fronted band, Year Of October blends Josh's metal and blues background with Phlecia's jazz and soul-drenched vocals. Prior to this release, the singer-guitarist-drummer trio played over 250 shows a year throughout Tennessee, Kentucky, and the South after releasing their critically-acclaimed last album Golden Days. They have built up a loyal fan-base, and have received raving media attention from a number of notable outlets. The U.S. Americans - Fade Out. Background - NYC-based progressive psychedelic punk-rock band, The U.S. Americans, announce the release of their debut album, Greatest Hits, due out October 27th 2017. Produced by Scott Von Ensign and executive produced by Daniel Deychak, Emerson Williams, Roy Abraham and Jeff Weiss, Greatest Hits, is a collection of the best of progressive, psychedelic punk from the sons of liberty, The U.S. Americans. Background - With her debut album Dissolve released 13th October, Tusks (aka Emily Underhill) builds on her towering musical vision. Created alongside longtime co-producer Brett Cox, her rich visual imagination with its cinematic enormity and resplendent detail is the work of a young artist mastering the nuances of her craft, a journey which began in her early teens. 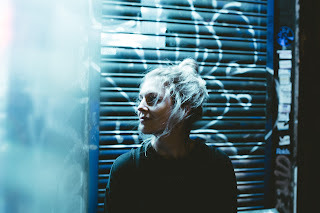 On new single ‘Last’, Tusks ups the ante; “it’s the feistiest track on the album. It was a bit of a f you to a person at the time who I'd invested loads of energy and time into who'd messed me around." 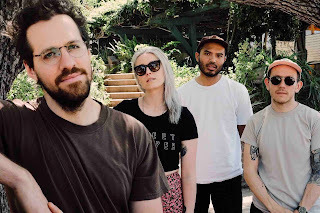 It’s a track that demonstrates the breath of emotion on the record, that within ‘Dissolve’s’ immersive cinematic artistry and beautiful soundscapes sentiments of a vigorous, vitriolic nature also burn bright. Sittin' Pretty - Then You Break. Background - The North West’s very own Sittin Pretty come confidently striding out on to the streets to deliver you their thumping slab of defiance ‘ Then You Break’, the new single to be released on Gas Music 24th November. 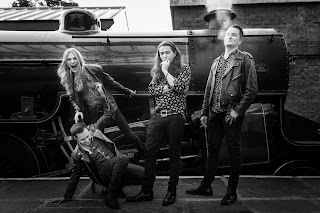 This band capture a sound, an attitude, that can only be delivered by an authentic group of musicians embracing their youth and love of life in this modern age of rock, blending classic rock, blues and touches of psychedelia.